From vintage garden ceremonies, to tranquil beach weddings, to formal sit-down receptions, Celebrate has a range of products to suit any style. Make your event stand out and your guests have a night to remember. Celebrate is Melbourne’s premier choice for event and party hire in Melbourne, offering assistance from the planning stages to the packing up of your event. For over 30 years, we have helped people celebrate their special occasions by providing a vast range of Event hire in melbourne with a seamless level of premium service. Over the past 30 years, we have helped people around Melbourne create fun and memorable occasions. Based on this experience, here are some key things to consider, including marquees, flooring, lighting and styling to help create a unique experience for your guests. 1. Will a Marquee Be Required? Celebrate Party Hire offers a range of sizes of marquees for events ranging from small backyard parties to large corporate events and weddings. 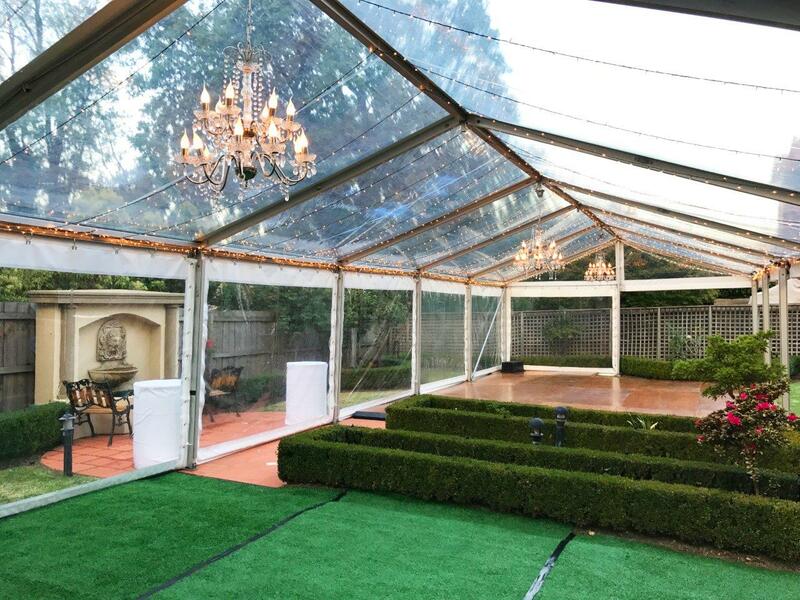 Often with the unpredictable nature of Melbourne’s weather, people opt to hire a marquee to provide protection for their guests. 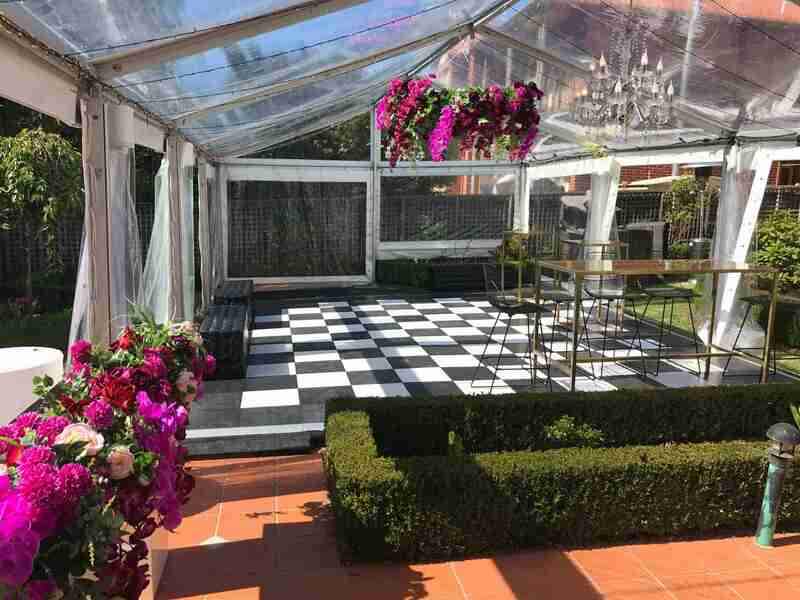 Marquee hire in Melbourne can allow you to create the perfect environment anytime of the year. If you need more space, need protection or are after a customised solution to create a unique event for your guests, contact us at www.celebratepartyhire.com.au to talk to one of our friendly customer service staff about marquee hire in Melbourne, otherwise check out our packages for marquee hire in Melbourne here..
2. What size marquee should you hire? Before deciding on the size of your marquee, you will also need to choose a style of marquee. We offer “pop up” instant marquees (ideal for school fetes and market stalls), framed marquees (ideal for back yard parties) and clear span structures (for larger functions like weddings and festivals). 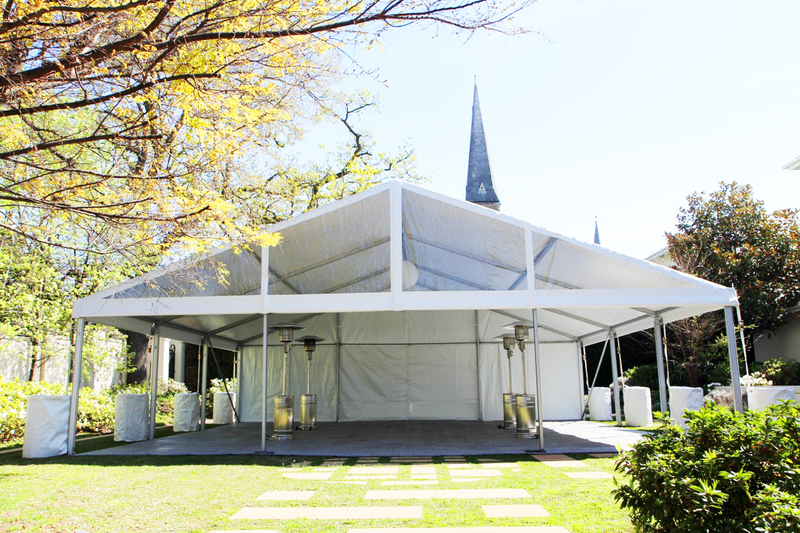 Our Melbourne party hire marquees come with white or clear roofs and walls. 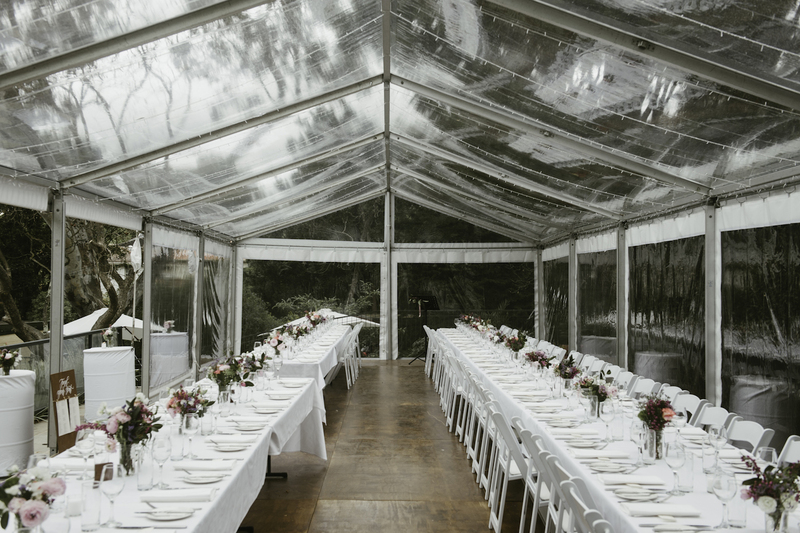 One of the key things when considering marquee hire in Melbourne is how many guests you’re having and the space you have available, as this will dictate the size required. Will your guests be seated or standing? Will you need room for dance floor hire in Melbourne, catering and a band? These are all things to consider when considering what size marquee you need. 3. Will you need flooring and if so what is available? Our most popular options for flooring are timber flooring and fake grass hire in Melbourne. Celebrate Party Hire’s synthetic grass hire in Melbourne is plush green grass that creates a modern, natural look to any marquee and can go over any surface. If you are after a more sturdy floor option, our solid timber floor and dance floor can provide a sophisticated and stylish option. It can also double as a dance floor. 4. What lighting will you use for your event? Our most popular lighting item is currently festoon lighting hire in Melbourne. These strings of individual warm white “Edison Style” bulbs (or Filament Bulbs) can be strung within a marquee, providing effective and on-trend lighting. They are also able to be strung outside of a marquee to create a rustic ambience. Our festoon lighting party hire in Melbourne offers any length, as our strings are interconnectable with a globe every metre. Other than festoon lighting hire, our Melbourne party hire can also provide you with fairy lights, lantern lights, chandeliers and disco lights to help bring any dance floor to life! 5. What tables will you need? Clients will often speak to us about how many people can fit around various size tables when considering table hire in Melbourne. Depending on the space you have, we have a range of both round and trestle tables for table hire in Melbourne, ranging from small 1.2m round tables that can fit 5 guests to large 1.8m round tables that can set up to 10 guests. Our trestle table hire in Melbourne offers a large range of trestle tables. 6. How will you seat your guests? Whether it be a wedding reception requiring wedding marquee hire in Melbourne or a casual cocktail party, we always recommend providing appropriate seating for your guests. Our range of chair hire in Melbourne ranges from classic white timber folding chairs popular for wedding chair hire through to vintage timber folding chairs and rustic timber bench seats. For a wedding reception, the most popular number of wedding chairs is around 40 for the guests and 2 for the bride and groom to use when signing. We offer packages for wedding receptions to ensure you choose the right wedding chair hire in Melbourne for your special day. For a more casual style occasion, our range of bar stools offer something for the more relaxed party to complement the cocktail table hire in Melbourne that we offer. Celebrate Party Hire is always looking at expanding their Melbourne party hire chair offering, so if there is something that we do not offer, let us know and we will be happy to look at sourcing it for you. 7. What is the look you are after for your event? Whilst we are not stylists, we can provide you with inspiration from past events we have completed, including some of our event hire Melbourne. Some of our most popular items are our festoon lighting hire in Melbourne and our synthetic grass hire in Melbourne – two of our items that are used to create a rustic look at an event. To create a more complete rustic look, our timber top tolix bar stools match our wine barrels from our table hire and chair hire collection. If you want to learn more about the many Melbourne party hire services and products we have on offer, speak to our team today. We can’t wait to help you create an amazing event. Call us on (03) 9532 5144 to experience the ease and excitement of our premium event hire in Melbourne.